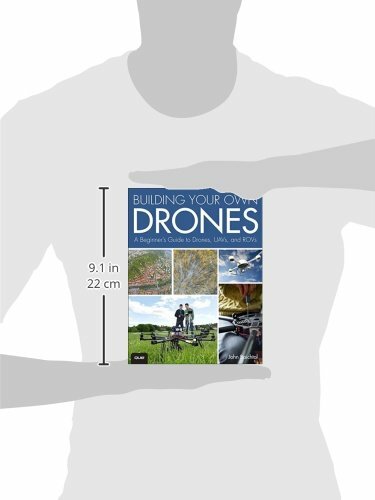 Build your drone, step-by-step, with this full-color, hands-on guide! You’ve heard about drones. You’ve seen drones. Now, build your own—it’s a lot easier than you think! Drones are the newest frontier for the DIY/maker community, and you don’t need to be a technical expert to build one. John Baichtal, the #1 author of hardware hacking books for beginners, will teach you all the skills you need. First, Baichtal shows you the amazing drones others have built. 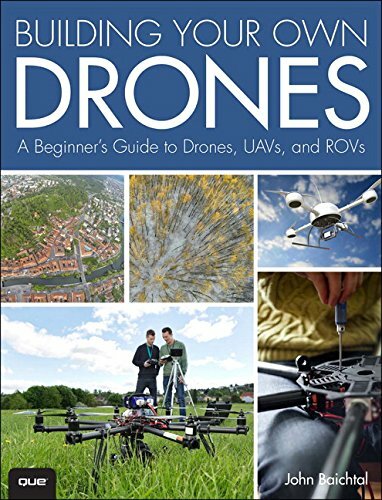 Then, he walks you through several complete projects: quadcopters, UAVs, ROVs, and more. Not ready to start from scratch? No problem: Baichtal helps you choose from today’s best new kits. Hundreds of full-color step-by-step photos teach you every step, every skill. When you’re ready for more advanced concepts, Baichtal explains them in plain English.